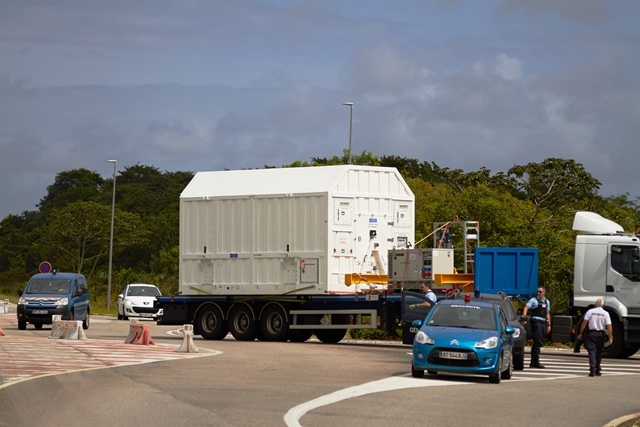 It has been three weeks since Sentinel-1A arrived in Kourou and the campaign to prepare this new satellite for launch on 3 April is going well and according to plan. 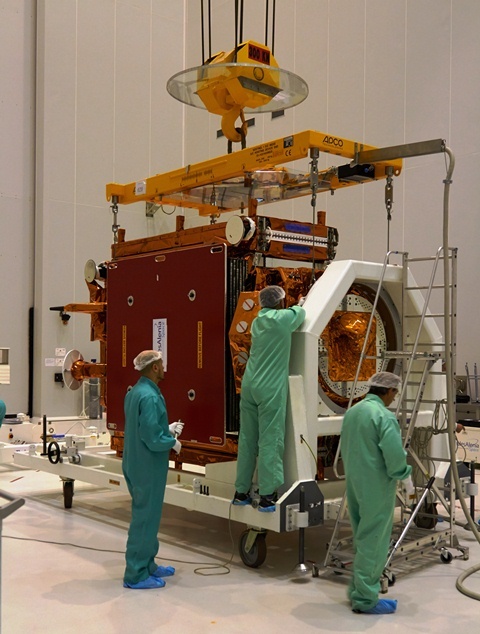 The satellite has passed all of the functional tests and is ready to go through the next significant step – fuelling. This important and hazardous process cannot be rushed and will take a week to complete. 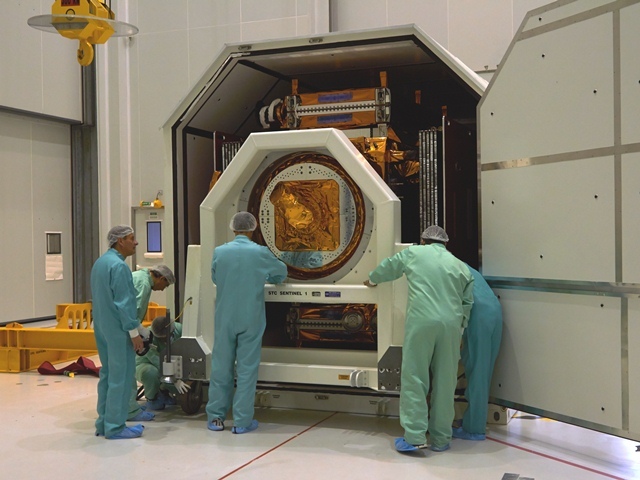 Since the fuelling process takes place in a different facility, it meant packing up the satellite in its special container for transport. 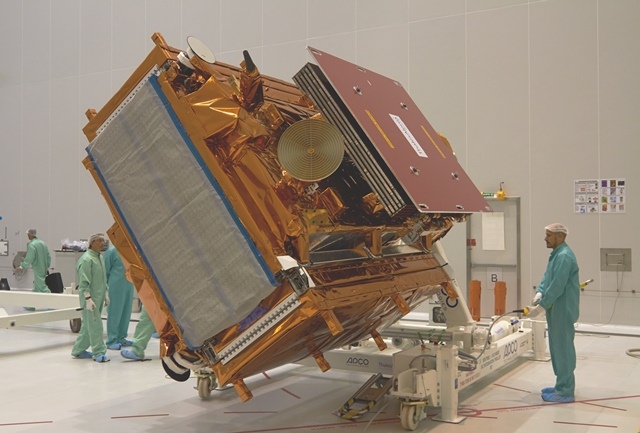 So, on the morning of Monday 17 March our precious satellite was taken by truck to the ‘S5B’ building to start this delicate operation. The truck was escorted so that it could pass easily through the local traffic. 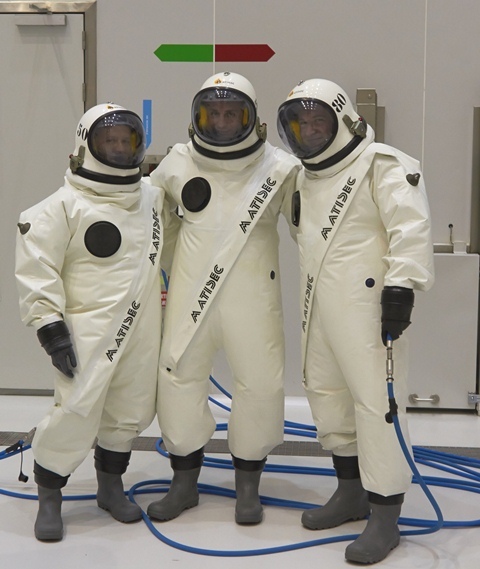 The propulsion team was fitted out with ‘scape suits’ and now, fully protected, they have started to fuel the satellite. The new arrivals this week are: ESA’s David Bibby, Gianluigi Di Cosimo, Massimo Marchionni, Julija Mataityte, and Svein Lokas returned to Kourou to join the team. Also, Gabriele Montanari (TAS-I), Agnese Fiocchi (TAS-I), Sergio PicaA (TAS-I), Daniele Coletti (TAS-I), Giampiero Sbroglia (TAS-I), Claudio Bruno (TAS-I), Michelangelo L’Abbate (TAS-I) joined the team. 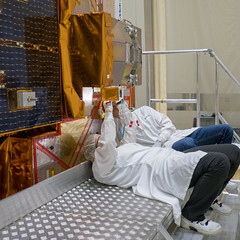 Post from Sentinel-1A launch campaign team, 19 March 2014.